We are a trustworthy organization offering a wide gamut of Hex Jam Round Nut. An extensive range of nuts are being offered by us at industrial leading prices. These are uniquely designed nuts, these can be availed in different designs and sizes, in accordance with the needs of the customers. 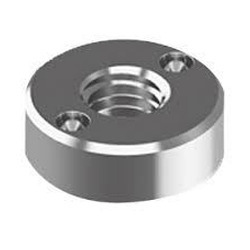 Extensively used for industrial requirements, this Cup Nut is resistant to pressure corrosion. 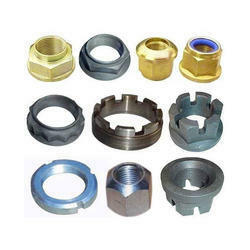 Matching to the huge market demands, we are involved in offering best quality of S.S. OD Cap Nut. The offered S.S. OD Cap Nut is manufactured by using good quality material that we sourced from the reliable merchants of the market. Our products are available in the market at most reasonable rates.